Everything you wanted to know about this novel cannabinoid receptor and were too perplexed to ask. 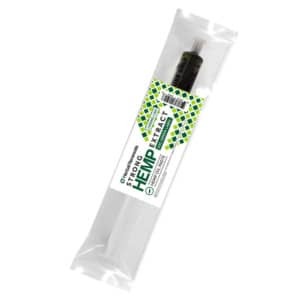 Cannabis has been enjoyed for its many perceived therapeutic benefits throughout the course of human history. There are many studies underway attempting to find a correlation between consumption of marijuana and analgesic effects, including alleviation of pain, insomnia, and perhaps even anxiety. These benefits are said to be brought about by cannabinoid receptors (we’ll discuss just what a receptor is shortly) in the central nervous system and peripheral tissues, facilitating the psychotropic and behavioral effects of cannabis. So, what is a receptor? In pharmacology and biochemistry, a receptor is defined as a protein-molecule that receives certain chemical signals from out with a cell. When these signals bind to a receptor, they provoke some sort of cellular or tissue-level response, such as a change in the electrical activity of a cell. Each and every single receptor is linked to a specific cell’s biochemical pathway, and each receptor will only bind with ligands (a molecule that binds to another, usually larger, molecule) of a particular structure. In other words, just like a lock will only accept its corresponding key, when a ligand binds to its corresponding receptor, it will either switch on or shut down the receptor’s biochemical pathway. And what is a G protein-coupled receptor? G protein–coupled receptors (GPCRs) – also known as a seven-transmembrane domain receptor, 7TM receptor, heptahelical receptor, serpentine receptor, and G protein–linked receptor (GPLR), but you probably didn’t need to know that – make up a large part of the protein family of receptors that sense molecules outside the cell and activate certain cellular responses. These G protein–coupled receptors are only to be found in eukaryotes (any organism whose cells contain a nucleus and other organelles enclosed within membranes), including yeast, choanoflagellates (a group of free-living unicellular organisms), and mammals. The ligands that bind and provoke a response in these receptors include light-sensitive compounds, odors, pheromones, hormones, and neurotransmitters. They vary in size from small molecules and peptides to larger proteins. The G protein–coupled receptors are involved in many diseases, and are also the target of around 40% of all modern medicinal drugs. While we’re on the subject of G protein-coupled receptors, what is GPR55? GPR55 is a G protein-coupled receptor that, along with GPR119 and GPR18, has been identified as a likely receptor for cannabinoids. It is often referred to as an orphan receptor because it hasn’t yet been scientifically placed into a family of receptors. It was identified and cloned for the first time in 1999, and was later identified as a hypothetical cannabinoid receptor due to a similar amino acid sequence in the binding region. GlaxoSmithKline and AstraZeneca both researched the GPR55 receptor extensively in the hope that it was responsible for the blood pressure lowering properties of cannabinoids. While GPR55 is in fact activated by plant and synthetic cannabinoids, it is still inconclusive if it results in an altered state of blood pressure regulation. Why is the discovery of GPR55 important? Okay, so we’ve finally arrived at the reason why we’re discussing GPR55 in the first place. The GPR55s are predominantly located throughout the brain, with a particular concentration in and around the cerebellum, where it is utilized in regulating bone density and blood pressure. So, for example, if you had an overactive GPR55 receptor it could be linked to osteoporosis. This is because its signalling would increase, and the receptor would promote osteoclast cell behavior, which is responsible for bone resorption (a process in which the calcium in your bones is broken down and transferred from the bone to the blood, therefore weakening the bone). When activated, GPR55 also aids in the rapid growth of cancer cells, and has been linked to many types of cancer. And what impact does CBD have on these receptors? The impact of cannabidiol on these receptors could have potentially massive implications on the way in which a number of conditions are treated. For instance, CBD has been observed as activating certain receptors, such as the A2A adenosine and the 5-1HT1A serotonin receptors. Scientists are working hard to figure out if this process brings about anti-inflammatory and anti-depressant effects. 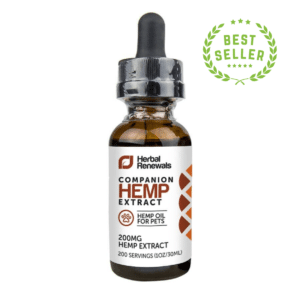 On the other hand, studies have indicated that CBD works as an antagonist when it comes to GPR55, in that it can block or deactivate the receptor, and therefore decrease cancer cell growth and bone resorption. 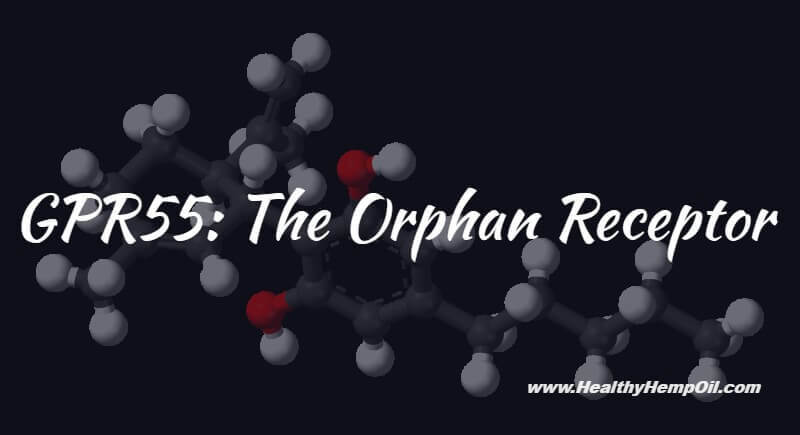 GPR55 has been dubbed an “orphan receptor”. This is because scientists are still unsure if it belongs to a larger family of receptors. GPR55 is widely expressed in the brain, especially in the cerebellum. It is involved in modulating bone density and blood pressure, among other physiological processes. GPR55 promotes osteoclast cell function, which causes bone resorption. Overactive GPR55 receptor signalling has been associated with osteoporosis. GPR55, when activated, has also been shown to promote cancer cell growth. This receptor is expressed in various types of cancer. CBD has been observed as a GPR55 antagonist. By blocking GPR55 signaling, CBD may be able to decrease both bone resorption and cancer cell growth. 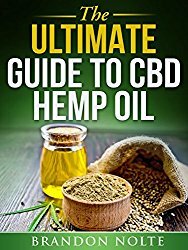 Understanding CBD’s relationship with certain receptors, as both an agonist (in that it causes an action) and antagonist (in that it blocks an action), could further medical marijuana’s reputation as a legitimate treatment option for a number of conditions. Of course, there is still a great deal of research required before we have absolute clarity with regards to the role of cannabinoids in prohibiting certain diseases and helping manage pain. And while in it’s early days, the most recent forays into cannabidiol research are promising. While the concept of GPR55 may seem complex, it’s an important factor to study while trying to figure out the precise advantages of CBD. Do you think more studies involving cannabinoid receptors should be conducted? If so, why? Let us know in the comments below.